Did you see the news! 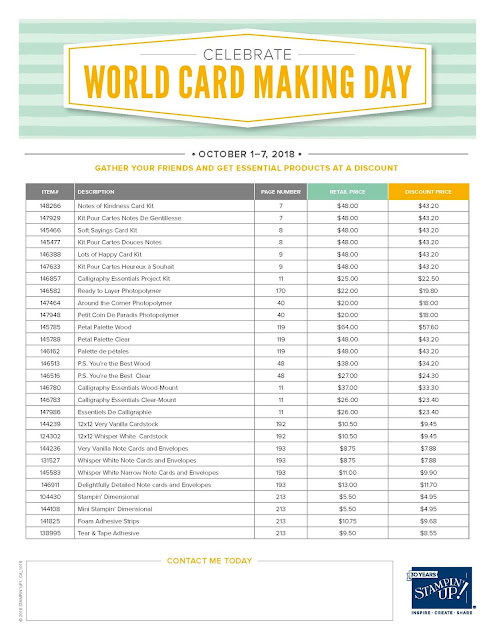 Stampin'Up is offering a World Card Making Day Special that runs Oct 1-7th. Kits and adhesives are 10% off right now. Please click on a picture below to place an online order.